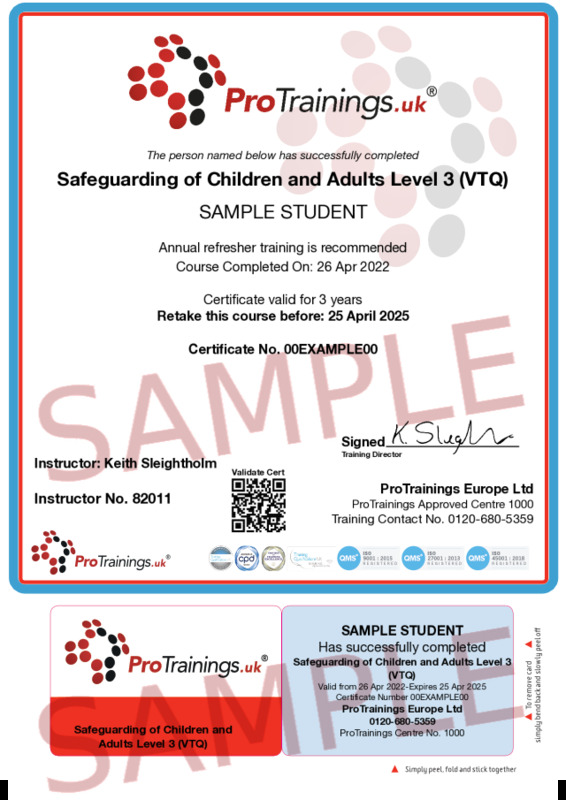 Safeguarding of Children and Adults Level 3 is our highest level safeguarding course combining our adult and child courses to avoid repetition. It is currently available as a classroom course only but we are working on a video online version. This course is aimed at training individuals and managers who work with children and adults to ensure they know how to identify and report possible cases of abuse and neglect. Children are at risk in many environments and training will ensure understanding of the problem, avoiding possible situations and dealing with abuse and neglect once identified. ProTrainings is rated 4.6 out of 5 based on 31798 ratings.